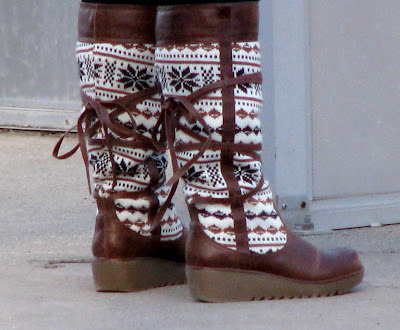 I noticed these boots worn by a student at UWO today, and thought they were rather unusual with the mix of patterned knit and solid leather and the lacing up the leg. 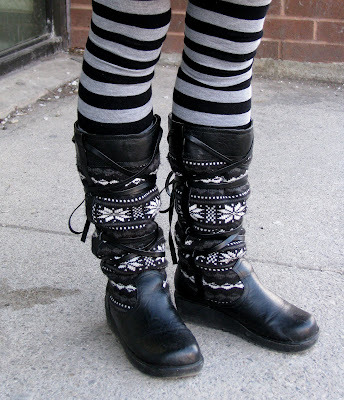 Then later the same day I see a second version, in black (see below). What are the odds?